Eating clean on a budget is possible. You just have to know where to go and what to buy! I won’t go so far to say that these are the best foods to buy at Trader Joe’s because that list would go on for too long. These are just a few of my recent favorites. I took these pictures on a random Saturday morning while on the hunt for corn tortillas. If you know me, you know I love corn tortillas. It’s not a gluten-free thing – it’s about taste. I use them for breakfast tacos, mini quesadillas and other ways. The tortillas I find at the regular supermarket are full of extra ingredients. I’m a bit of a purist and rather not have the extra stuff. 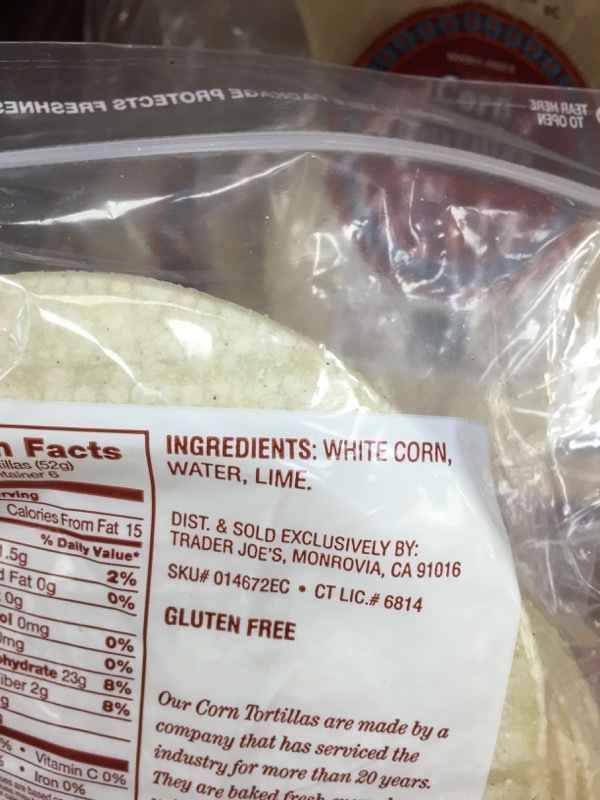 So, I set out to find these Trader Joe’s corn tortillas – rumored to have nothing but corn, water and lime on the label. And lo and behold, they do exist. 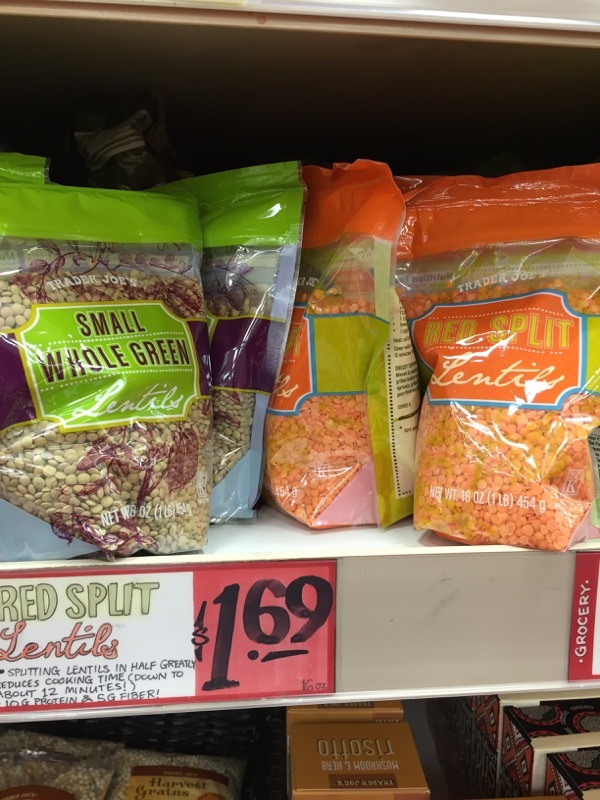 Perfect for #MeatlessMondays, lentils are a great source of fiber and protein. 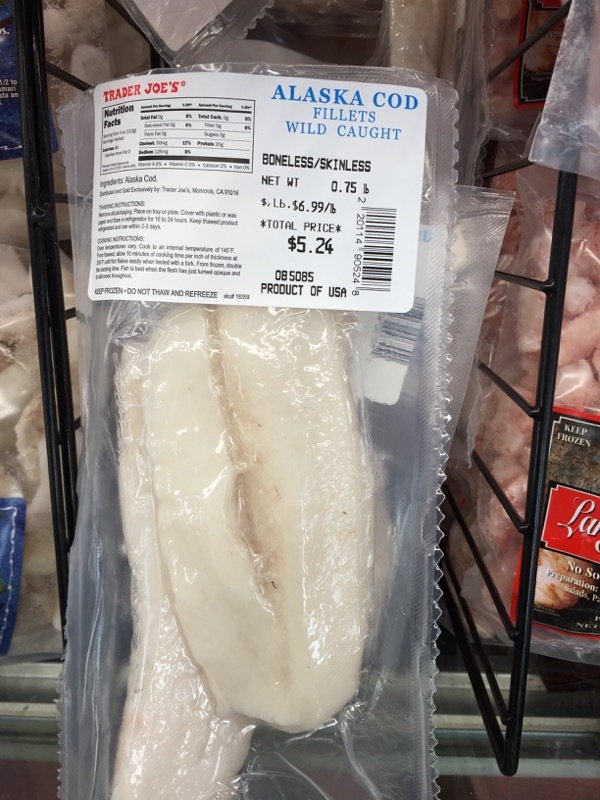 At $1.69 for this large bag, you’ll be eating for a while. Protein can be the most expensive item on the grocery list. 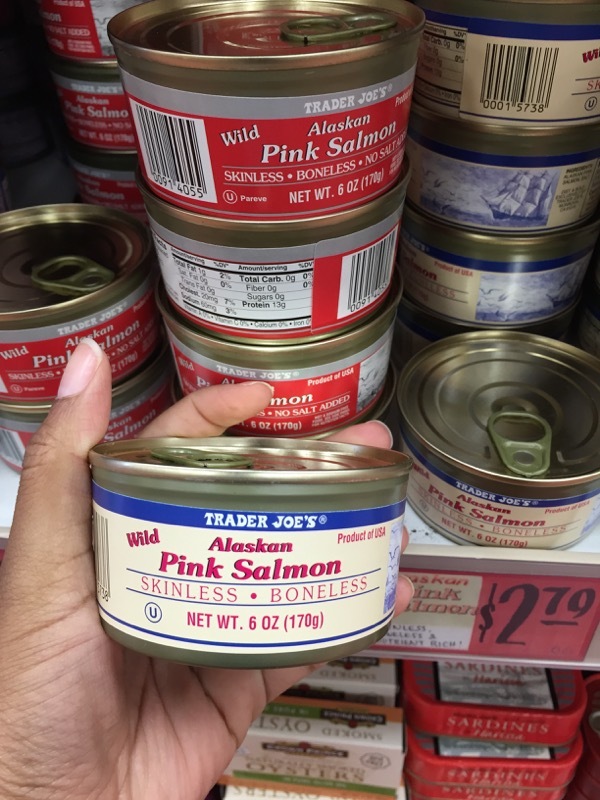 Trader Joe’s has lots of options including canned (YES canned) salmon and frozen fish with the place of origin listed – which is important to me. I use canned salmon for salmon croquettes… will share my recipe one day here. 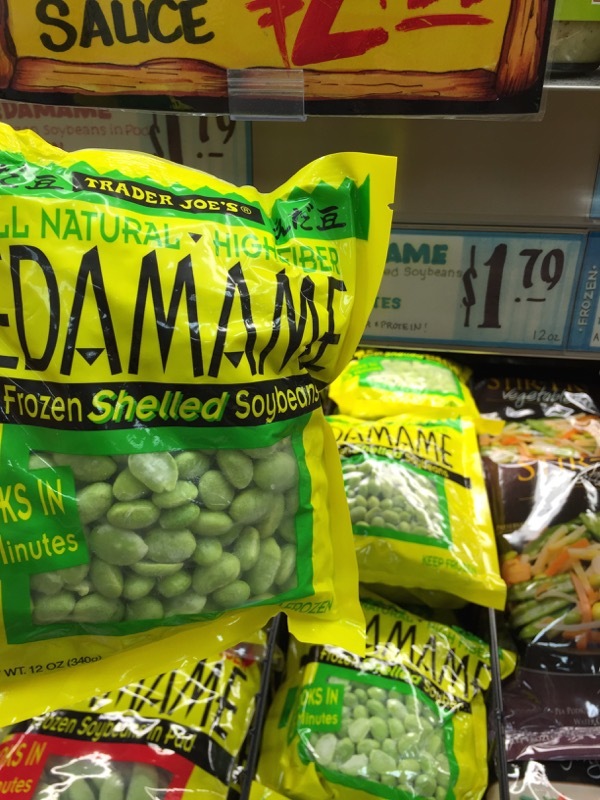 Frozen edamame is a lifesaver in my house. Add it to stir fry dishes, rice or quinoa for protein and extra fiber. You can even just heat it up in the microwave and add your favorite spices for a snack. I’ve even used it to make an easy edamame hummus. This Broccoli Slaw is the perfect base for a quick lunch. I like to add a ginger dressing and sliced almonds and have it with a side of tuna or salmon. 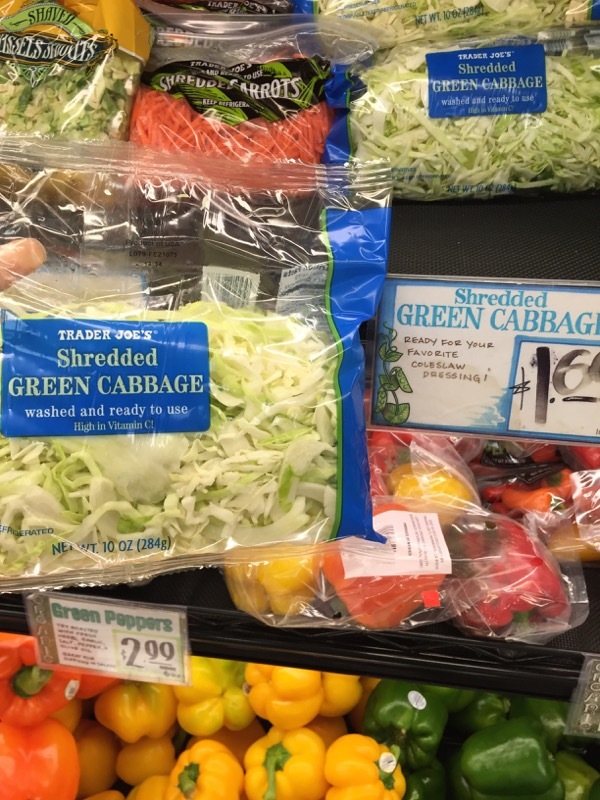 In addition to many other convenient produce items, Trader Joe’s also has shredded cabbage which makes it easy to create slaw and cut fresh butternut squash that saves major time in the kitchen. 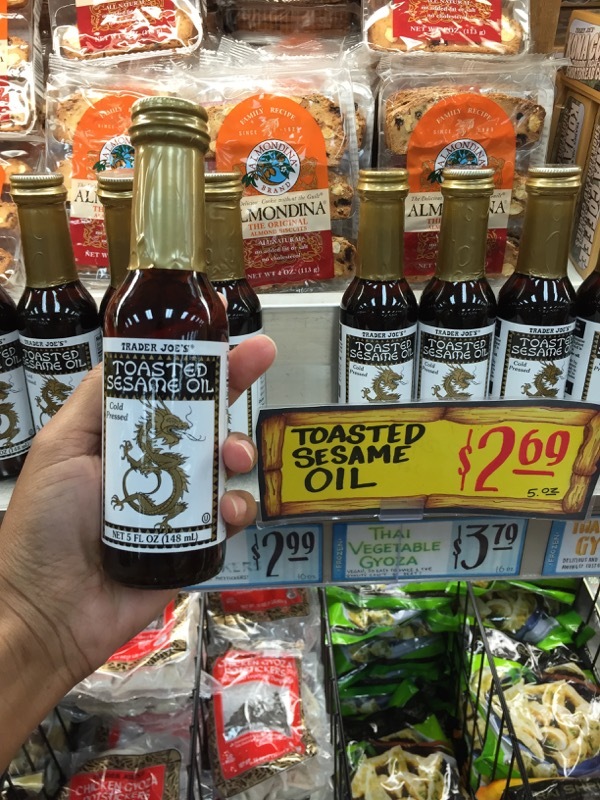 Toasted sesame oil is one of my favorite secret ingredients for adding depth of flavor to stir fry dishes, dressings and roasted vegetables (like cabbage!). It’s usually very expensive in the supermarket. Here? Less than $3 bucks! Trader Joe’s one of my favorite places to get nuts and seeds. They have all kinds. 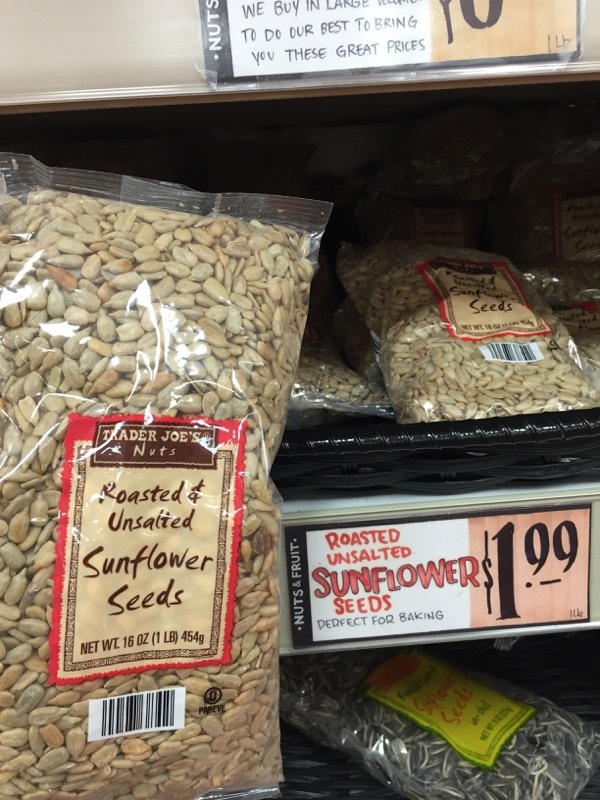 I use sunflower seeds as well as pumpkin seeds in oats, on toast and sprinkled on salads. 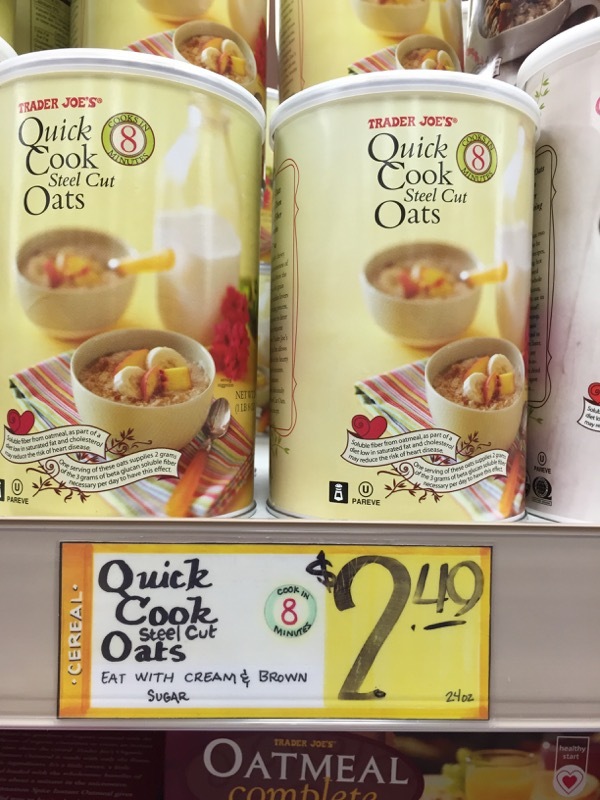 If you’ve ever stood hungry waiting for your steel cut oats to cook on a Saturday morning, you’ll love TJ’s Quick Cook Steel Cut Oats. They only take 8 minutes. I got this large canister for just $2.49! 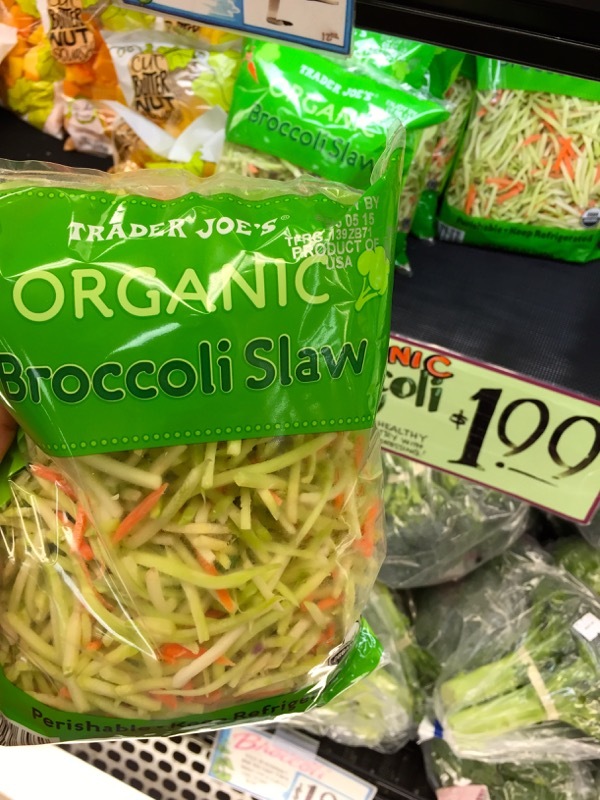 The one thing that I don’t like about shopping at Trader Joe’s is the excessive packaging but that’s the trade off for convenience I guess. It’s odd that I haven’t written more posts like this one. Between recipe development, trying new recipes and actually cooking for myself, some weeks, I feel I LIVE in the supermarket. I am one of those rare people. I actually like going in for groceries – especially when pretty produce and cheap avocados are involved. 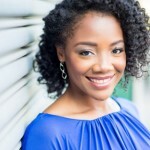 I may come back and share more but this post is already kind of long so I’ll stop here. 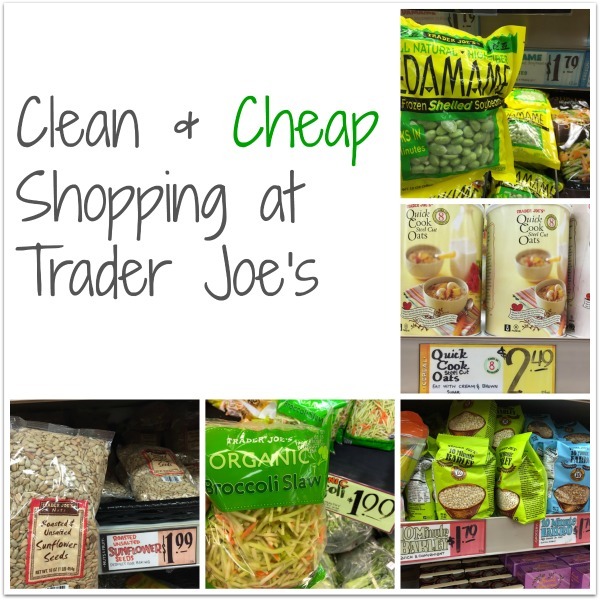 Do you shop at Trader Joe’s? What are your favorite finds?